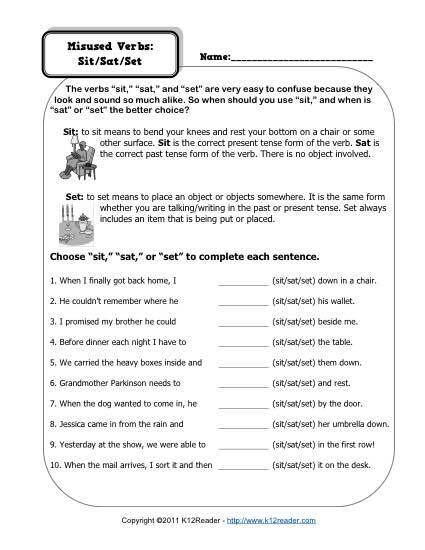 The verbs “set” and “sat” are two of the trickiest English verbs. Your youngster will find some valuable practice using them in this worksheet. It’s compatible with Common Core Standards for Conventions of Standard English for 2nd and 3rd grade, although other students may also find it helpful.